March is a protean month. Pisces are born every March. Caesar is betrayed every March. You run the possibility of being pinched if you don’t wear green every March. Demeter is reunited with Persephone every March. One gives five dollars to a friend for a college basketball pool and never sees those five dollars again every March. But perhaps most world-historically important of all, small presses are celebrated every March. That said, show your appreciation for small presses by browsing the catalog of any of the following stellar links below! 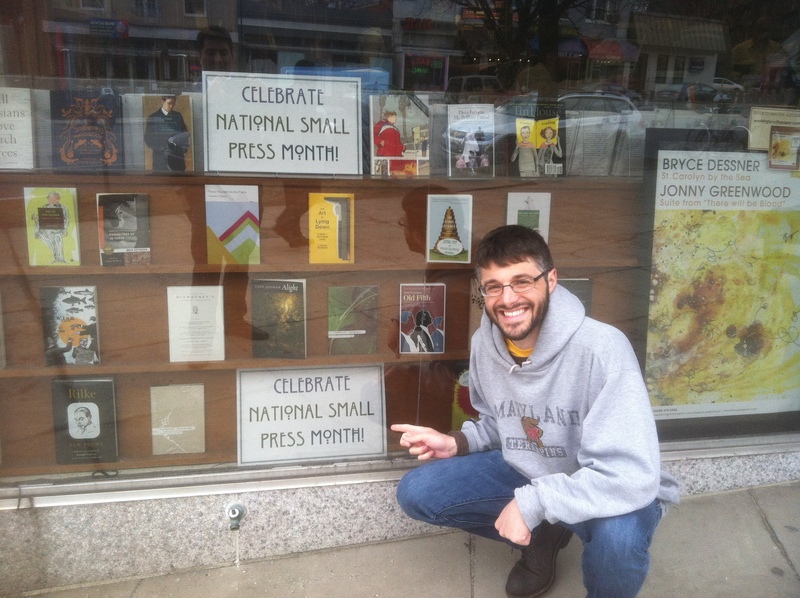 Kneeling and paying homage to the “celebrate national small press month” sign at Politics and Prose!